The holidays are upon us, and it’s hard to believe that the most festive season of the year is already here. 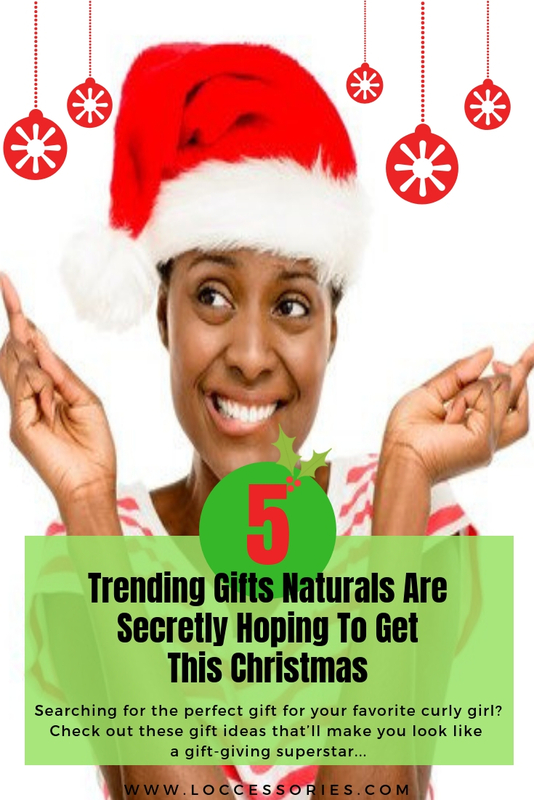 There are always new trending products on the market that naturals are excited about. 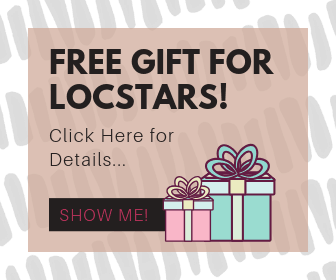 If you are looking for the perfect gift for a friend who happens to be a Naturalista or LocStar, look no further. 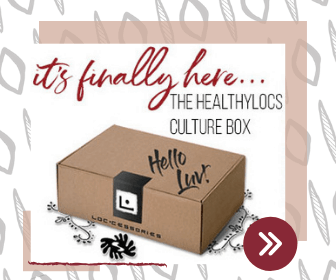 The following includes five gift ideas that are popular among those who rock their coils, kinks, and locs with pride. 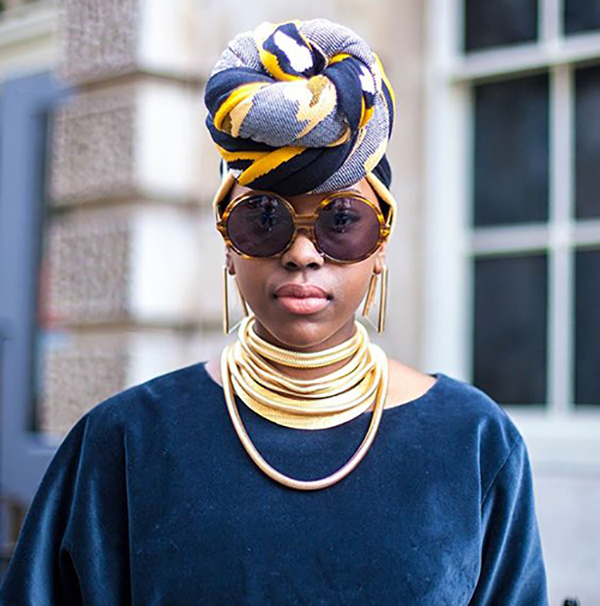 Head wraps have been in style for some time now, but the front bun head wrap has been a trend that’s made it’s way to the forefront. If you purchase a long, thick scarf, you can tie it in a stylish way with the bun at the top and center of your forehead. Whether you’re having a bad hair day or perhaps looking for a modest look, you can match your scarf with your outfit for an effortlessly elegant touch. Many city chic Naturalistas pair head wraps with bold earrings. This draws attention to the face and eyes and looks great overall. It makes for a perfect gift. Flowers give a feminine and natural touch to any look, and jumbo flower crowns are the look to have this year. A symbol of beauty and love, jumbo flower crowns are perfect for adding a vibrant touch to your look or event with a bohemian chic flavor. Beware! Some jumbo flower crowns may cause you to look like a walking flower garden, so don’t attempt this look unless you’re ready to turn all the heads. It all depends on your preference, but it really is a “Go Big, or Go Home” kind of look. Jumbo flower crowns are definitely not for the timid or the faint of heart. 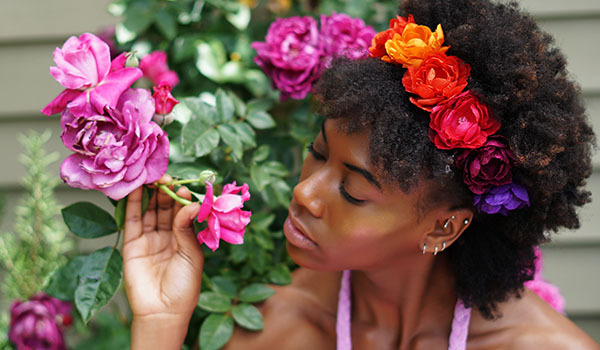 If you want to be less daring, you can pin a few flowers around your hair for the subtler look of the “Flowers in Fro” trend which has also been popular this year popping up at natural hair festivals across the nation. You may be thinking that glasses have nothing to do with hair, but this is an accessory that many naturals and LocStars are into this year. Oversized frames add a bit more flair to your face, especially if you don’t want to wear a full face of make-up. Sunglasses can also be used as a hair accessory with a high bun or top knot, adding a bit of high glam to your hairstyle. Faux glasses are a fun to play around with and a great way to change up your look. It adds a fresh accent without the full commitment. Straight or wavy extensions are not as dominant anymore as naturals are changing the narrative of what beauty looks like. 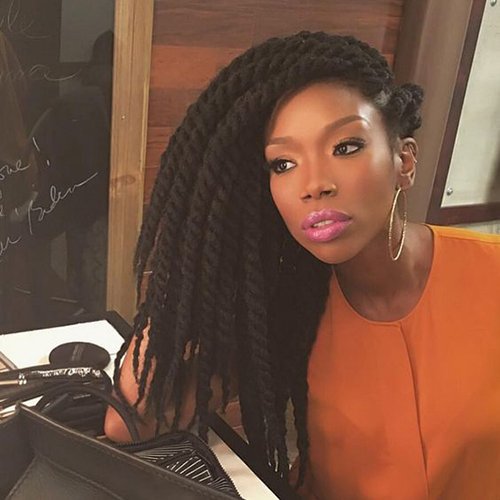 Ladies have been adopting crochet braids as a protective hairstyle. These extensions have been mainly influenced by the natural hair movement. Popular styles of crochet braids are in hairdos that naturals typically sport such as Havana twists, Marley Twist braids, and twist outs. Crochet braids allow you to protect your hair and still look amazing. Gifting a Naturalista with a bundle or two would be a perfect gift if she loves wearing Crochet braids. And add a bit of humor to the gifting experience, we might add! Statement hair accessories and hair fascinators, in particular, have been a staple in the United Kingdom for decades. And with the coverage of the Royal Wedding(s), the United States is getting exposed to this signature look as well. But you don’t have to wait until the next Royal Wedding or Kentucky Derby to sport this sophisticated style. You can style your hair and stand out with a hair bows in classic or oversized sizes. Hair bows are a great accent piece to your overall look and can be the pop of color to your hairstyle. There are different sizes of bows you can wear for switch up your look. If you want to feel like a Human Christmas present, the bigger the bow, the better. Hair accessories are some of the most popular trends and make wonderful gifts. They can change a bad hair into good hair day and also complement your natural hair and locs. This holiday you can give someone a gift that other naturals are swooning over. With so many trends to choose from, it will be a difficult decision, but whatever choice you’ll be sure to put a smile on any Naturalista’s face.